The other week I was down in London, and on a whim popped into the Tate Modern. Shuffling through its grand cavernous innards, I breezed through the galleries quizzically glancing at the odd array of canvases, installations and sculptures. I eventually reached a large room and poked my head in; inside demonic little creatures were stationed in a string of strange poses while straddling a moon-like terrain. I retreated away from the room, out the building and towards the nearest pub. That was quite enough modern art for me. 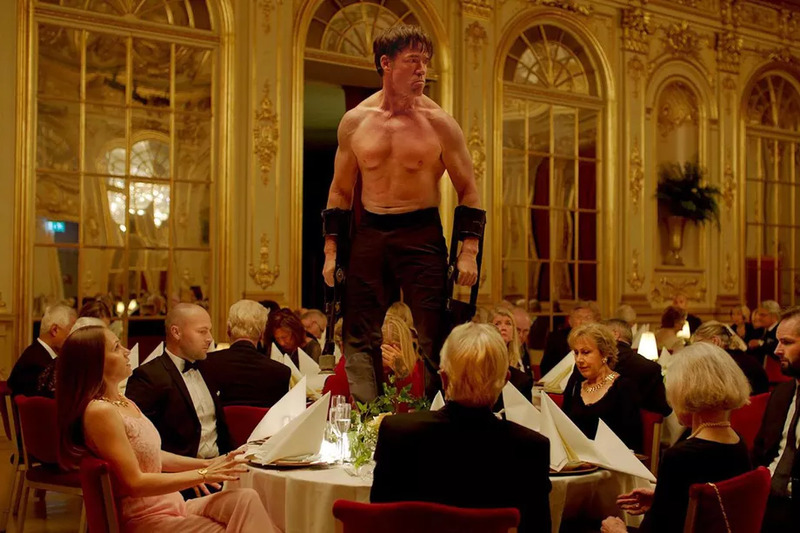 This week I saw Ruben Östlund’s modern art satire, and Palme D’Or winner at Cannes,The Square. Within the film’s Swedish art gallery, the X-Royal, there is an art installation consisting of small piles of gravel in an ordered formation on floor along with a neon sign on the bright white walls stating “You Have Nothing”. Early in the film a couple of intrepid visitors peak into the room before hastily retreating at the baffling exhibition. It is only the briefest of scenes, but one that encapsulates Östlund’s eagle-eyed satire of modern art in all its absurdity. The Square is at its most clinical and caustic when it focuses its aim squarely on the sitting duck that is the high-class art world. Unfortunately, Östlund cannot help but drift away from the square confines of the art world and unload his scathing brand of mockery upon the whole of contemporary society. There’s no doubt around the potency of Östlund’s satirical wit, but his wayward application dilutes its overall potency. The titular square is an art installation commissioned by the suave and sophisticated curator Christian (Claes Bang) for the museum. The square exists as a designated four by four floor space with an illuminated perimeter championing an altruistic mantra within its confines; “The Square is a sanctuary of trust and caring. Within its bounds we all share equal rights and obligations”. 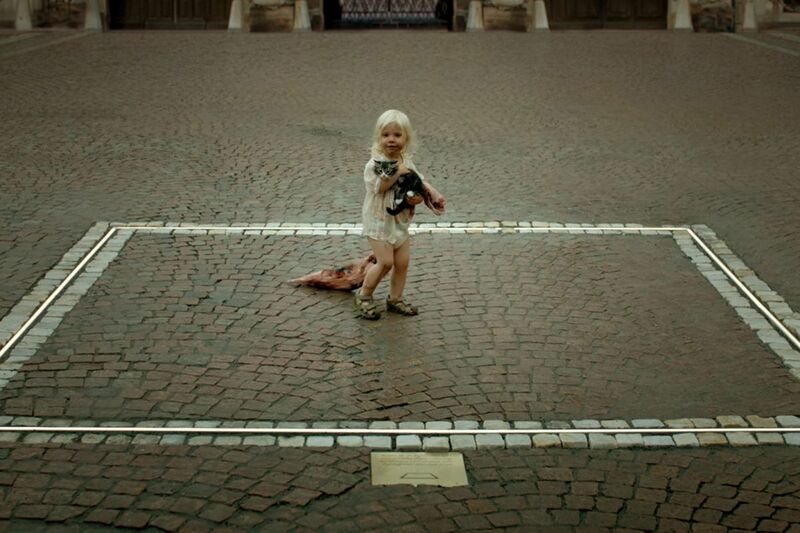 For Östlund, ‘The Square’ and all its idealistic principles exists as ironic counterpoint to cowardly, selfish, and pompous society that populates his film. During a meeting at the museum on how to market ‘The Square’, a couple of aggressively hip millennial marketing gurus voice their obvious approval of the installation’s utopian vision before immediately slating its advertising potential. Being nice is all well and good, but it’s not very fun or interesting – that’s Östlund diagnosis of the modern condition. Like his previous efforts of observational satire and social commentary, Östlund is relentless in his mockery. The Square operates in a series of excruciatingly awkward exchanges not dissimilar to the sitcom format championed by The Thick of It and Peep Show. Too oftsen these scenes linger well beyond the point necessary to cause the audience to squirm, lapsing into a draining self-indulgence. For the most past, Christian is at the focal point of these interactions; whether its struggling to explain journalist Anne’s (Elizabeth Moss) question about an impenetrably pretentious art spiel or leveraging his power to force an employee to deliver his blackmail. Beyond Christian, Dominic West’s perennially pyjama clad artist has his press conference interrupted by a man with a bout of Tourette’s, while, in the film’s most impactful scene, Terry Notary terrorises a gala dinner through his immaculate transformation into an ape. Unfolding in an unbroken take, Notary’s surreal artistic assault confronts the comfortable elite’s very worst nightmare by shattering the safe distance between observation and participation. Like James Stewart in Rear Window, the outside world is coming inside. While an apt metaphor for cinema voyeurism, the ape invasion mirrors the middle-class’s hollow charity and sympathy for The Square’s omnipresent homeless. For all the primitive force of the primate scene it exists in isolation, an aside from the already disjointed narrative. Even if the hapless Christian is The Square’s central exhibition, Östlund still cannot decide on his narrative priorities. In an illustration of Christian’s hubris, his phone and wallet are stolen in a slickly orchestrated pick-pocketing. Christian is subsequently sent on a hunt to find his missing goods doused in working-class prejudice, distracting him from happenings at the gallery. Director and audience are caught between competing narratives, rather than loosely entwined ones. As the film heads into its latter stages, we’re left blindsided by the escalation of certain events that previously only appeared as comedic asides rather than pivotal moments. The fragmented nature of The Square is loosely held together by the humane performances extracted from not just its stars, but also its many extras and bit part-players. Crucial in offsetting Östlund’s scathing indictment of humanity is his ability to keep his characters relatable, accessible and, to an extent, sympathetic. Christian may be prejudice, cowardly and arrogant, but he’s far from a terrible person. With this brand of satire it would be easy to paint in broad strokes with caricatures, but the decision to craft real, multi-faceted characters is crucial. Unlike Modern Art, if you pop down to your local cinema and sneak a peek into a screen with The Square playing you’ll certainly be intrigued and entertained enough to grab a seat, whether you can face the full duration of The Square is another question. Östlund’s film is one comprised of isolated greatness, sketches of profundity, humour and, even terror. The whole film certainly revolves around a sharp satirical look at an increasingly self-absorbed and callous society, with the contradictory art world at its core, but a sustained narrative to give these thoughts a much-needed focus is missing. In its absence the film is prone to bouts of tedium with scenes dragging well beyond their useful lifespan, ultimately diluting the impact of its message and obscuring the root of The Square. Instead, rather like an art gallery, Östlund’s The Square is best enjoyed as a series of disparate exhibitions, allowing the viewer to pick, choose and relish their favourite scenes.